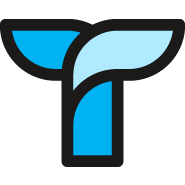 It's often helpful to share just a single Tettra page with collaborators without giving them access to your entire Tettra account or making the page public. 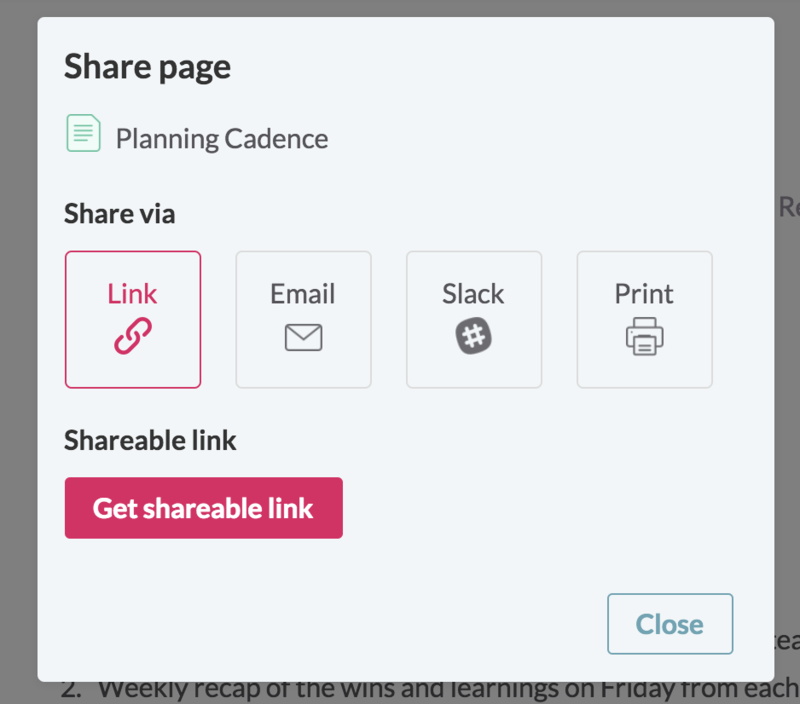 For example, you could share a link to your Benefits Summary with a candidate during their interview process or share a project brief with a new contractor. 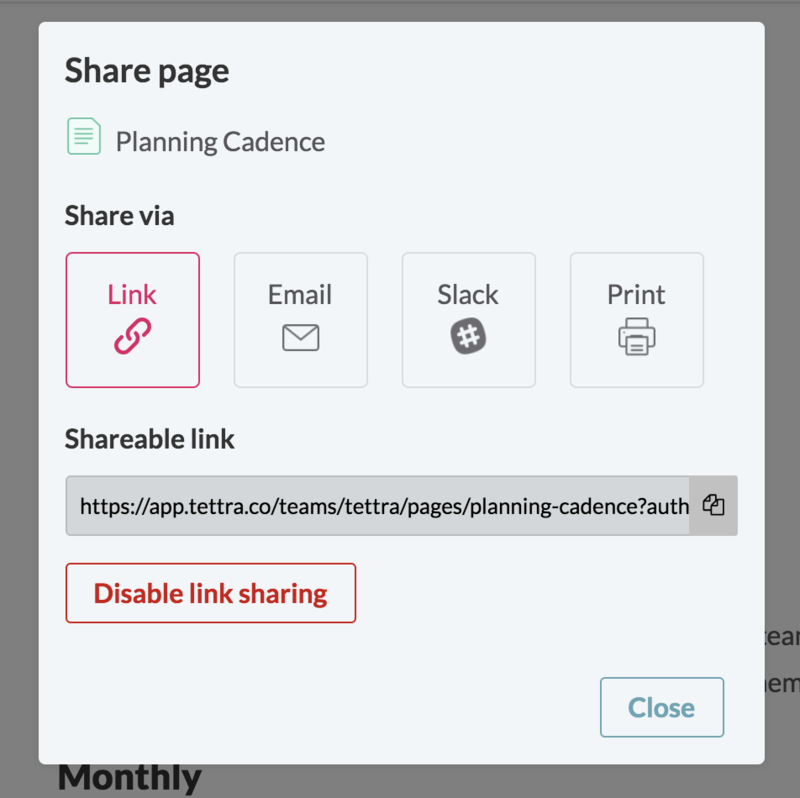 Tettra gives you the ability to share a page with an authorized link - only people who would normally have access to the page (like your team members) and those who have the authorized link will be able to access it.